Numbers of patients in parentheses. Data of Prescott and Wright (1973) Br. J.Pharmac., 39, 602. FIGURE 7.8 The major metabolites of paracetamol. primarily centrilobular hepatic necrosis, but this may also be accompanied by renal damage and failure. By measurement of the blood level of paracetamol in overdose cases it is possible to estimate the likely outcome of the poisoning, and hence determine the type of treatment. 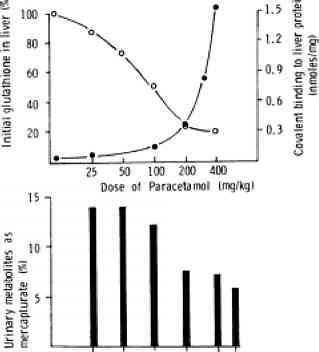 Measurement of the blood level of paracetamol and its various metabolites at various times after the overdose showed that the half-life was increased several-fold (table 7.2), and the patients who sustained liver damage had an impaired ability to metabolize paracetamol to conjugates (figure 7.8). FIGURE 7.9 Species differences in the dose-response relationship for paracetamol-induced liver damage. 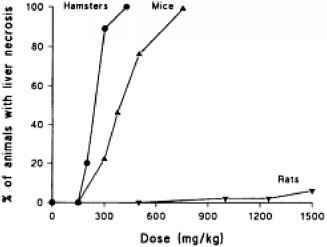 Data from Potter et al., Pharmacology (1974) 12, 129 and Mitchell et al., J.Pharmacol. Exp. Ther. (1973) 187, 185.
reduced in animals given inhibitors of these enzymes (table 7.3). Similarly, humans who are exposed to enzyme-inducing drugs are more susceptible to the hepatotoxic effects of paracetamol, and resistance to these effects has been described in a patient taking the drug cimetidine which is an inhibitor of the microsomal enzymes. a The radiolabel was bound to liver protein covalently and to a much greater extent than in other tissues such as the muscle (table 7.3). b Autoradiography revealed that the binding was located primarily in the centrilobular areas of the liver which also suffered the damage. c The covalent binding to liver protein was inversely related to the concentration of unchanged paracetamol in the liver. d The covalent binding was increased and decreased by inducers and inhibitors of the microsomal enzymes respectively (table 7.3). Microsomal enzyme inhibitor; 2microsomal enzyme inducer. 3Data of Mitchell et al. (1973) J.Pharmac. Exp. Ther., 187, 185; 4Data from Jollow et al. (1973) J.Pharmac. Exp. Ther., 187, 175, and from Mitchell and Jollow (1975) Gastroenterology, 68, 392. Severity of necrosis: 1+ <6% necrotic hepatocytes; 2+ >6% <25% necrotic hepatocytes; 3+ >25% <50% necrotic hepatocytes; 4+ >50% necrotic hepatocytes. FIGURE 7.10 Relationship between hepatic glutathione, covalent binding of radio-labelled paracetamol to hepatic protein and urinary excretion of paracetamol mercapturic acid after different doses of paracetamol. Adapted from Mitchell et al. (1975). In Handbook of Experimental Pharmacology, Vol. 28, Part 3, Concepts in Biochemical Pharmacology, edited by J.R.Gilette and J. R.Mitchell (Berlin: Springer-Verlag). e The extent of binding was dose related and increased markedly above the threshold dose for hepatotoxicity (figure 7.10). f The covalent binding to liver protein was time dependent, but that to muscle protein was not. 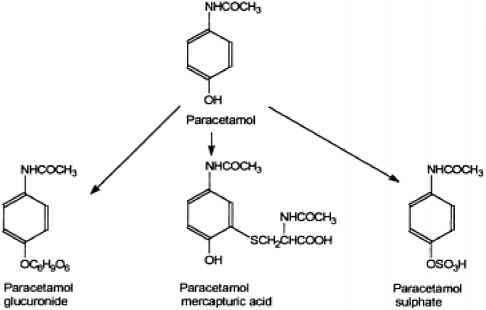 These findings suggested that a reactive metabolite of paracetamol was responsible for the hepatotoxicity and covalent binding rather than the parent drug. More recent immunohistochemical studies using anti-paracetamol antibodies have shown that covalent binding of a paracetamol metabolite occurs in the damaged centrilobular regions of human liver after overdoses. 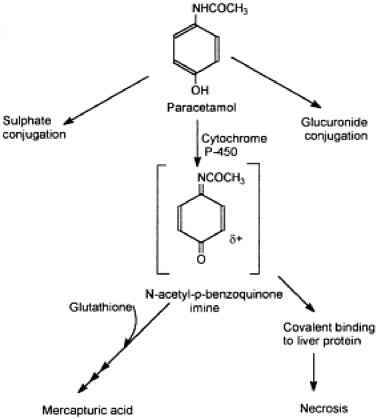 FIGURE 7.11 Proposed metabolic activation of paracetamol to a toxic, reactive intermediate N-acetyl-p-benzoquinone mine (NAPQI). This can react with glutathione (GSH) to form a conjugate or with tissue proteins, Alternatively NAPQI can be reduced back to paracetamol by glutathione, forming oxidized glutathione (GSSG). reactive metabolite. Using human liver microsomes it has been found that cytochromes P-450 are responsible for the production of a reactive metabolite which binds to microsomal protein. 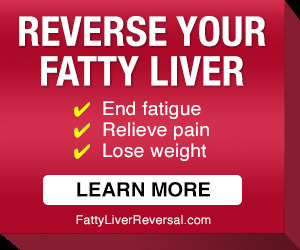 The metabolic activation may involve CYP1A1, 1A2, 2E1, 3A1 and 3A2. Seventy percent of the covalent binding in the liver is to cysteine residues in hepatic proteins through the 3-position on the benzene ring. Furthermore this binding does not seem to be random and is to specific proteins in both mouse and human liver in vivo, and in microsomes and isolated hepatocytes in vitro. Some of the binding seems to be similar in both mice and humans. Thus both species show binding of a paracetamol metabolite to various proteins, but especially to a 58 kDa protein. Several cellular target proteins for the reactive metabolite of paracetamol have been identified, namely formyl tetrahydrofolate dehydrogenase, a cytosolic protein, and glutamate dehydrogenase and aldehyde dehydrogenase, both mitochondrial enzymes. The activity of these enzymes was significantly decreased by the binding of the reactive metabolite and this may contribute to the impaired mitochondrial function observed in paracetamol toxicity. The role of covalent binding is still unclear as studies in vitro in isolated hepatocytes and in vivo have shown that certain agents can protect against the cytotoxicity of paracetamol or reduce the cytotoxicity, despite that fact that substantial covalent binding has occurred. Although the role, if any, of covalent binding to protein in the development of the necrosis is not yet clear, there has been no demonstration of hepatotoxicity without binding. However, the reactive metabolite will cause other changes as well as binding to protein. Thus, NAPQI will react both chemically and enzymatically with glutathione to form a conjugate, and will also oxidize it to GSSG and in turn be reduced back to paracetamol. 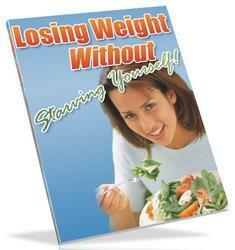 This cyclical process may explain the extensive depletion of glutathione which occurs. NADPH will also reduce NAPQI and in turn be oxidized to NADP, although reduction via glutathione is probably preferential. NADPH oxidation may also result from GSSG reduction via GSH peroxidase (figure 6.10). Analogues of paracetamol which are unable to undergo covalent binding to protein are still hepatotoxic and can undergo a redox reaction with glutathione. However, oxidative stress has not been demonstrated in vivo and there are differences between in vivo data and that obtained in isolated hepatocytes. The depletion of glutathione and NADPH will allow the oxidation of protein sulphydryl groups, which may be an important step in the toxicity. Thus, glutathione and protein sulphydryl groups, such as those on Ca2+ transporting proteins, are important for the maintenance of intracellular calcium homeostasis. Thus, paracetamol and NAPQI cause an increase in cytosolic calcium and paracetamol inhibits the Na+/ K+ ATPase pump in isolated hepatocytes. As well as the formation of NAPQI there are various other possible metabolic pathways, including deacetylation and radical formation, which may or may not play a role in the hepatotoxicity. The importance of and interrelationships between covalent binding to particular hepatic proteins, cyclical oxidation and reduction of glutathione, oxidation of protein thiol groups and the intracellular calcium level are currently unclear. These events are not mutually exclusive and so it is possible that all are a series of necessary events occurring at particular stages in the development of paracetamol hepatotoxicity. However, covalent binding to protein is still believed to be the important event in the toxicity. The dramatic species differences in the hepatotoxicity of paracetamol (figure 7.9) are due to the differences in metabolic activation, as indicated by in vitro studies using liver microsomal preparations and hepatocytes from various species. The activity of these microsomal preparations, using covalent binding to protein as an end-point, approximately correlated with the in vivo toxicity. The sensitivity of the rat to paracetamol is increased by pretreatment with phenobarbital, as it increases the activity of the cytochromes P-450 system responsible for the metabolic activation to NAPQI, and therefore more is metabolized by this pathway. This is also the case in humans, whereas in the hamster phenobarbital pretreatment decreases the hepatotoxicity as a result of an increase in glucuronic acid conjugation, and hence detoxication, due to induction of glucuronosyl tranferase. Pretreatment of hamsters with a polycyclic hydrocarbon such as 3-methylcholanthrene, however, increases the toxicity. Another factor which will increase the toxicity is a reduction in detoxication pathways such as by depletion of glutathione with compounds such as diethyl maleate (figure 4.60), and inhibition of sulphate and glucuronic acid conjugation by treatment with salicylamide. The latter treatment diverts more paracetamol through the toxic pathway.